Peace & privacy abound in this stunning 5br/3.5ba/3cg + BONUS ROOM + POOL 2006 David Weekley built residence. 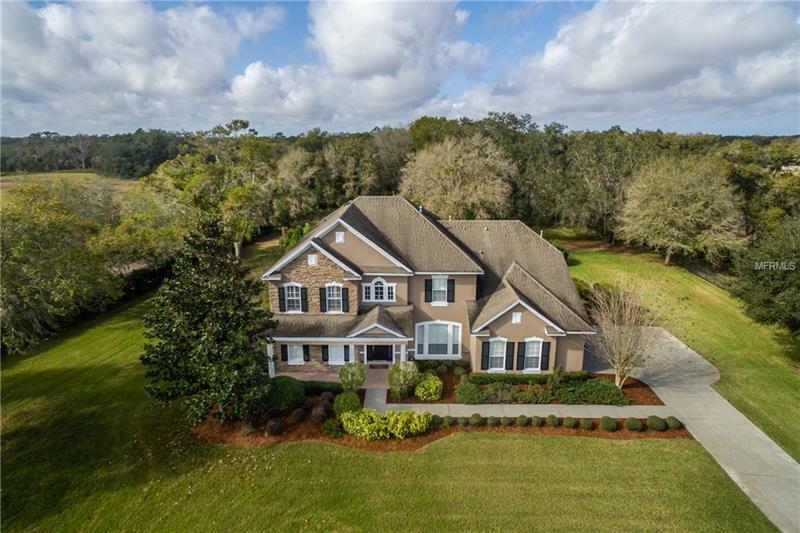 Tucked away on an enormous .95 acre park-like lot in the prestigious GATED COMMUNITY of Wellington Manor, you will appreciate no rear neighbors & the propertyâs surrounding natural beauty. This two story home features 4457SF of pure luxury & shows like a true model inside & out. Rich in quality & thoughtfully designed, an OPEN FLOOR PLAN is perfect for entertaining guests or relaxing w/family. You will love the perfect blend of rustic & modern style including the gorgeous exposed brick in the gourmet kitchen, custom moldings, & elegant plantation shutters throughout. The kitchen showcases all the bells & whistles including top of the line SS appliances, silestone countertops, GAS range, & UPGRADED wood cabinetry. The main floor master suite includes a luxurious attached bathroom w/his & hers vanities, a garden tub, & separate shower. An enormous 2nd floor bonus room offers wonderful additional flex space for you & your family! With 5 or 6 bedrooms in all (bonus room includes closet & could easily be a 6th bedroom! ), there is certainly no shortage of space for visiting guests & family. Outside, you will delight in the RESORT STYLE amenities that include a CUSTOM lagoon style pool featuring Diamond Bright Marquis finish, spillover spa, sun shelf, & fire pit. Wellington Manor has all the benefits of quiet county living & is also central to everything! This luxury home is not to be missed!